I remember an old episode of the TV series “ER” in which one of the young emergency room doctors tired to treat as many people as fast as he possibly could. He didn’t feel he needed to waste his time chatting it up with his patients and simply to treat their ailments. Things were fast paced and efficient, something that most of us do not associate with Emergency Room visits. However trouble arrived when his new definition of success came to crashing halt when some of the people he released came back in struggling to survive. He learned a lesson that the stuff that seemed like a waste of time is sometimes the key to saving a life. 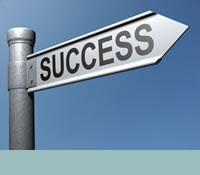 How we define success can have major repercussions in our work. Over the course of this month I have been exploring what it means to be a successful youth worker. This is a theme that I will continue to explore as time goes on, however I was curious about how others defined success in this field. I took the thought to twitter and I asked youth workers, youth pastors and other professionals to give me their 140 character definition of success. Here they are. Do you have one? Feel free to share it. Agree, Disagree. Please Share. To celebrate my 250th post A $20 Starbucks card will be rewarded to a random commenter. Contest Ends April 8. No lie.